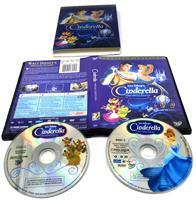 The most celebrated of all the Disney classics, CINDERELLA, is also known as one of Walt Disney's all-time favorite films. CINDERELLA has enchanted generations with its spellbinding story, charming music, and endearing characters that live in your heart forever. The beloved fairy tale becomes pure Disney magic as beautiful Cinderella shares her dreams of romance and a better life with the lovable mice Gus and Jaq. When Cinderella's cruel stepmother prevents her from attending the Royal Ball, the delightful Fairy Godmother appears! With a wave of her wondrous wand and a bouncy "Bibbidi-Bobbidi-Boo," the Fairy Godmother transforms a simple pumpkin into a magical coach -- and Cinderella's rags into a gorgeous gown. At the ball, Cinderella falls in love with Prince Charming, but must flee before the stroke of midnight breaks the spell! 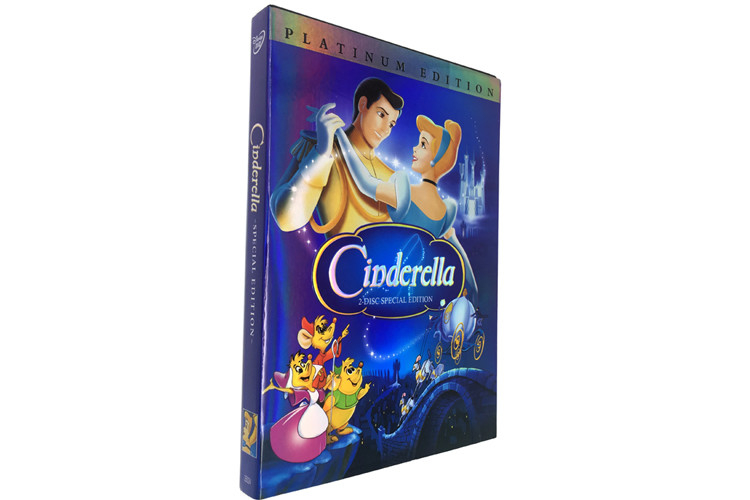 Now with an all-new digital restoration, Disney's Enhanced Home Theater Mix, and all-new games and music videos, this 2-Disc Special Edition of Cinderella is the perfect fit for everyone who believes dreams really do come true. Also available on Video.